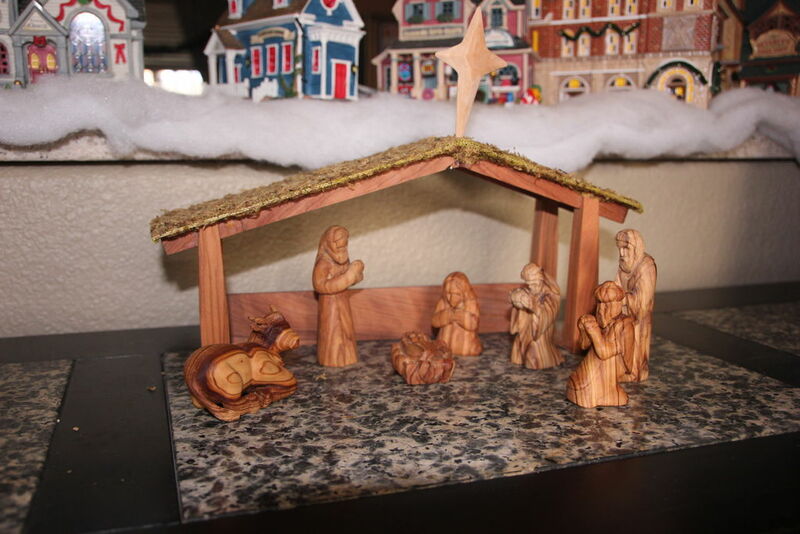 About 4 years ago I started carving a nativity set for my wife to give to her on Christmas. Each pieces is had carved out of olive wood that I ordered from Jerusalem. Every year I add pieces to the set The first year was Mary, Joseph, baby Jesus and the manger. Next came two of the wise men, an OX and then the last Wise man. I don't have a WIP photos, these take a while to carve and I did it in multiple sittings. The first three (and OX) I used the plans from http://www.woodworkersinstitute.com/page.asp?p=1147 The rest came from the book Carving The Nativity Gibson. I had to scale down these because the first three were smaller. They both have a short instruction on how to carve them. My best advises is take it slow and have very very sharp tools. Olive wood is pretty hard and the blanks I got from Jerusalem were wet and covered in wax. So if you go that route be prepared to cure it. I'd love to carve a set for my parents, do you have any WIP photos or plans to make a tutorial? Beautifully made... a wonderful present..